It’s not too early to begin thinking about the transition of the seasons. First of all, many birds will instinctively know that they must migrate. The shortening days are the trigger to the birds’ internal clocks that soon they must leave. September begins the fall migration for many of the birds we see around us. 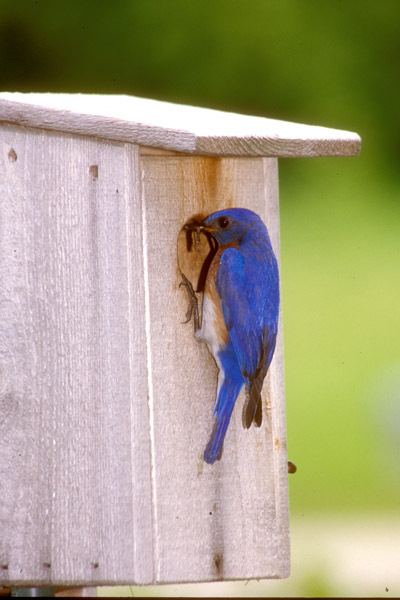 Birds develop food stores within their bodies to help them survive the hard trip south. Remember although birds are well adapted to flying, flight is one of the most exerting activities that they do and will burn more fuel than most any other type of bird activity. Fuel is equal to food, and many birds will have difficulty finding food during their long journey. Feeding birds in Late summer and fall can help them build the food stores and find food as they pass us during migration. Most birds wait for a tail wind to help speed their trip and lessen the exertion. Many people think that the lack of food is what triggers birds to migrate; this is not the case. It doesn’t cause them to come north in the spring nor does it trigger the journey south. If you leave a hummingbird feeder up into winter, hummingbirds will still migrate – their internal clock will tell them when to do so, it is a hormonal activity. Some birds that you see in the trees, woods, or in your backyard are species that stay around during the winter. Once in awhile, a young bird born near the end of the nesting season will not be strong enough to migrate or perhaps a bird was injured or ill, not being able to go south. You can safely assume that the birds you see in the winter, in our area, are adapted to withstand our cold winter temperatures. Be sure to put out suet for birds. This fat-laden food will provide fuel for birds to keep warm during long dark nights. Even some of your feeder birds that prefer seed may check out the suet during frigid temperatures. 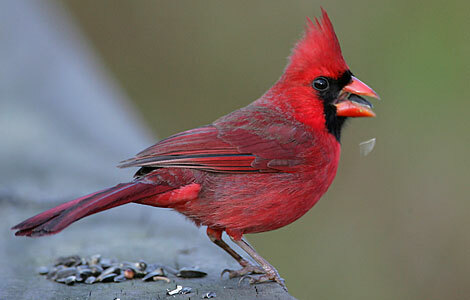 Also, be sure that seed feeders are cleared of ice and snow so that birds can easily get to the life-sustaining food. In severe conditions, when all other food sources are covered up with snow or ice, that suet or seed may be all that keeps the birds alive. Put up roosting boxes or prop up sturdy boards alongside your house to provide some shelter out of the wind and rain. Clean out nesting boxes and put in a layer of dry straw, grass or even soft cloth to help insulate the floor of the box. You can purchase dried alfalfa grass in pet stores (used for rabbits and guinea pigs) that is ideal to line nest boxes in the winter. Planting evergreens in your landscape will offer shelter from the wind as well. Starvation is not common in birds; however, dehydration is a problem once the rivers and lakes freeze over. So, last but not least, provide some unfrozen water for birds. Consider putting out a bath with a deicer this fall. If temperatures are below freezing, try putting out fresh water several times a day. As you care for the birds outside in the winter, be sure to keep your field guide handy! Shy birds that normally are deep in the woods, may venture out to get a taste of that suet. Birds may also form flocks of many species, so take a second look at that large flock descending on your back yard. Getting an early start with the suet may encourage birds to stay in your neighborhood.